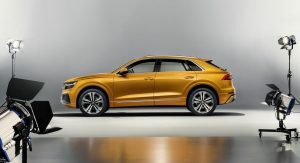 Audi is set to unveil the all-new Q8 in Shenzhen, China tomorrow but the first images of the crossover have hit the web. 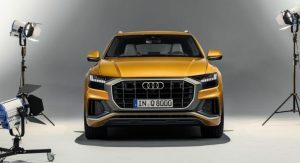 Posted by Observador.pt, the pictures reveal the production model has remained relatively faithful to the Q8 and Q8 Sport concepts. This enables the crossover to appear significantly sportier than its Q7 counterpart. Starting up front, we can see a prominent Singleframe grille with vertical chrome strips and a contrasting grey surround. Flanking the grille are large air intakes and slender LED headlights which are positioned above a blacked out panel. We can also see a silver skid plate and a sculpted hood. 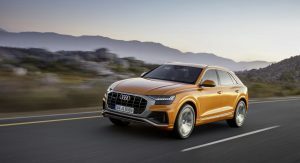 The side profile is the Q8’s sportiest angle as it reveals the crossover has a gently sloping roof and a heavily raked C-pillar. The greenhouse is relatively compact and it reportedly features frameless windows to enhance its coupe-like image. 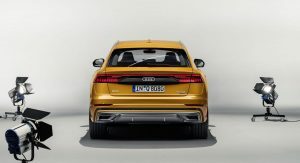 Continuing to the rear, the Q8 has a tailgate-mounted spoiler and a sporty rear bumper. We can also see a dual exhaust system and LED taillights which are connected by a thin strip. The sporty styling gives way to a luxurious and high-tech interior which follows in the footsteps of newer models such as the A6 and A8. 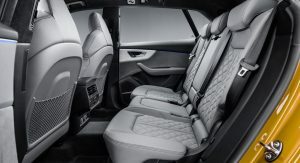 Drivers sit behind a flat-bottomed steering wheel and find themselves surrounded by leather and Alcantara upholstery as well as metallic accents. This particular model also has piano black trim which blends in with the main infotainment system. Speaking of screens, the Q8 has a digital instrument cluster and a third display for climate control and convenience features. The rear seats look relatively roomy and there appears to be a decent amount of headroom despite the crossover’s sloping roof. 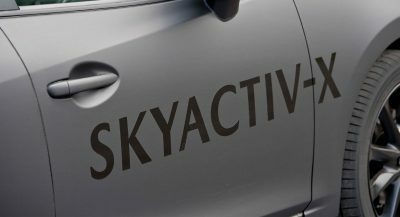 There doesn’t appear to be many amenities back there but rear passengers will be able to adjust climate control settings via a touchscreen mounted on the rear of the center console. 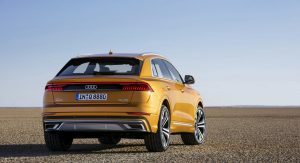 Detailed specifications are lacking but the Q8 reportedly holds 605 liters (21.3 cubic feet) of luggage behind the rear seats. That can be expanded to 1,755 liters (61.9 cubic feet) with relative ease. Under the hood, there will be an assortment of petrol and diesel engines featuring mild-hybrid technology. At launch, there will reportedly be a 3.0-liter V6 petrol with 340 PS (250 kW / 335 hp) and two 3.0-liter TDI units. The entry-level diesel is slated to produce 231 PS (170 kW / 228 PS) while the more powerful variant will have 286 PS (210 kW / 282 hp). The Q8 will be launched in Europe this fall and we should learn more details tomorrow. This turned out very good. Still prefer the concept rear end, but very pleased. This is miles better looking than the X6 and GLE coupe. Rear reminds me of the Mitsubishi Eclipse Cross for some reason, otherwise not bad. Very nice interior. Like the rear end. But I just think that front end looks cheap with that black/dark gray plastic underneath the headlights. It just doesn’t scream premium to me. It looks like something you’d find on a base Hyundai or Ford, not an expensive Audi. Looks fine to me, but there will probably be a titanium package that updates that bit. I agree. Here’s a quick Photoshop of the grill painted to help alleviate that effect of the overall different textures and pieces. That Matte gray is a selection you can choose, it will come in a few colors and body color is one option also. i agree with you. this one looks legit! Terrible. 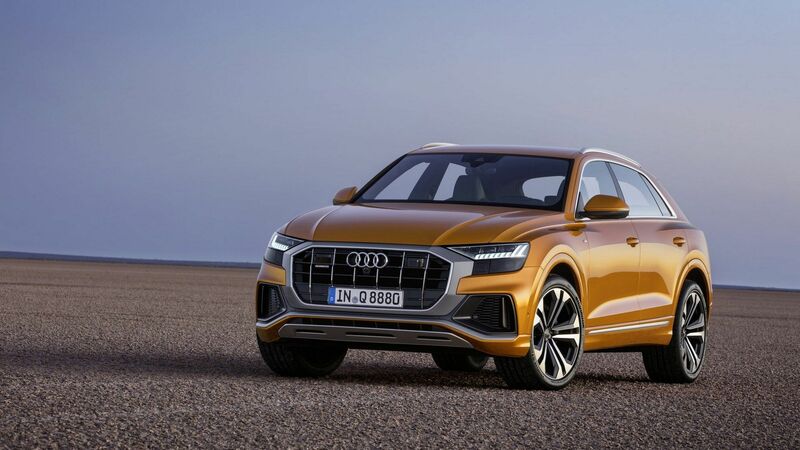 Audi’s front ends are an absolute mess. Why does the grille have that giant gray plastic surround? Why are the headlights so big and coupled with that dark blob underneath them (hiding the fog lamps?). Mazda can do beautiful minimal detailing. Why can’t Audi anymore? I’m sure the interior will be another ergonomic nightmare too. Also, the vertical slats in the grille are disgusting. Why? Are they just running out of ideas and trying to remain flamboyant without taste? Wow easy there… you wanted to hate this car before you even saw it, that’s some strong hate for a car that’s turning the tide against conservative Audis. Vertical slats are ‘disgusting’ now? If that isn’t hyperbole, I don’t know what is. Haha I know I sound emotional about it. I’m just very very disappointed in how Audi has fallen. They used to be at the forefront of elegant minimal design. 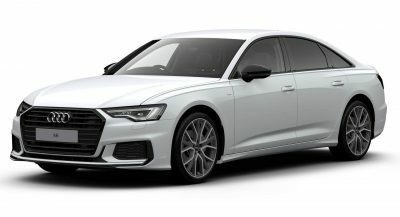 They have lost that title with each new model starting with the current gen A4. I just find the front end so offensive and garish for a German luxury vehicle, especially an Audi. The vertical slats are disgusting because they’re super-imposed over horizontal supports. It’s like it was originally a horizontal system that they decided last minute to change and make vertical. They simply can’t hide all the horizontal members with black plastic. On the contrary, Mercedes does a very tasteful version of vertical slats with their AMG grille. I will admit I wasn’t impressed with the concept, but it was very clear how the production model would turn out. There are no surprises here. It embodies all the tackiness of current Audi’s. 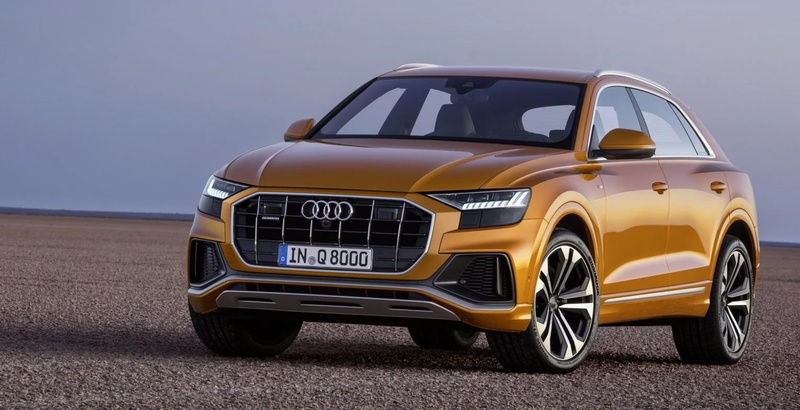 Really horrible looking car, over worked and busy design, looks like a Q3 (which is another ugly thing) on steroids. Agreed. Here’s a quick Photoshop of the grill painted to help alleviate that effect of the overall different textures and pieces. I also felt the front grille was way too busy. It would be great if they made body color surround an option. Or black. The better looking sibling of the Bentaugly…not digging the Cylon front grill though, looks very out of place with the rest of the vehicle. 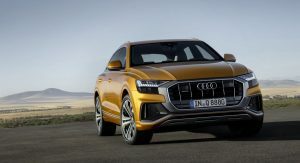 A step forward from Audi, I dont understand all the hate Audi design is getting. They are more classy and pretty than the many car brands. Because it’s not boring. 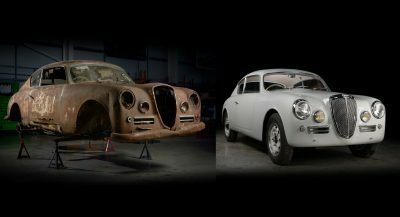 Some people would rather have non-descript styling than styling that’s divisive. I personally like it too. I don’t understand it either. I personally really like Audi’s exterior and interior design more than their competitors. Classy, clean and simplistic in the best of ways. Plus their lighting design is awesome in my book. Looks good from the rear, but the grille is far too busy – like they’re trying to one-up themselves. It’s a good thing I don’t love it, because the nearly buttonless/switchless interior is a deal-breaker. Manufacturers can try to jamb distracting touchscreens down our throats, but until I run out of alternatives, I’m not interested. Functionality first. Audi cars are other car companies’ concepts. Lots of people complain Audi design is too bland. But this front treatment is too busy and lacks character. Love the design, but the engines are underwhelming… was hoping for something sportier than the Q7. 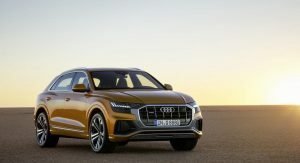 Guess I’ll have to cross my fingers that the RS Q8 rumor turns out to be true. The all new A6 starts with two engines, too. In some weeks u can choose between 6 and later between 8. But for the love of god, WHY THE HELL is there plastic under the headlights? There’s no need! 8.5/10, easily the best looking new Audi, though it probably helps that this is the first ever model, so there’s no baseline. MERCEDES MUST HAVE SOME EXTRA DOG BONE BUMPERS LYING AROUND. Really Audi? For some reason, and it’s mostly the front/ side view, this reminds me of an Aztec if it was all grown up. That plastic on the front grill looks tacked on and not “designed”. 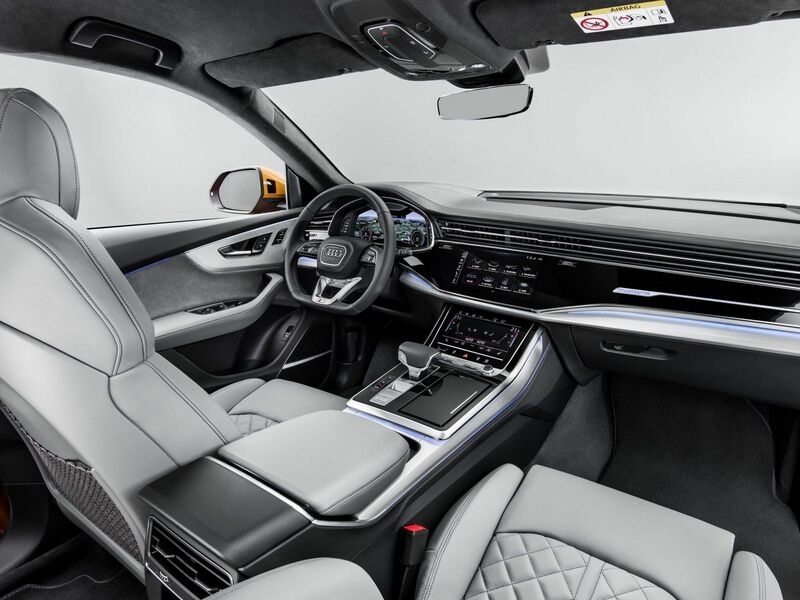 For a very long time, Audi led the industry with their interior design, and while it’s still nice, those touch screens remind me of technology that will look dated within the decade and probably have substantial problems as they age. A combo of buttons and screens IMHO is still best.Who wants to slide their finger up and down for temperature control? Audi is using big screens because all those metal looking knobs (in some cases real metal) you see in Mercedes and BMW are too expensive. Audi is not at that level anymore. Screens are cheaper and can be shared with many other models including future cars from VW and Skoda. The full plastic grill does look very plasticky and cheap but maybe it can be specced in black? Still the car is much better looking than the Urus. 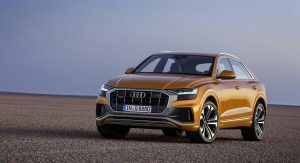 This Q8 and the A6 are the best looking Audis now. I like it. My only concern is those vertical lines in the grille but overall I think it looks good. 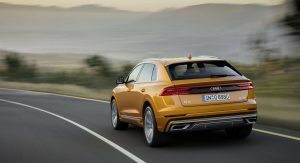 It definitely is the more stylish cousin to the Q7. 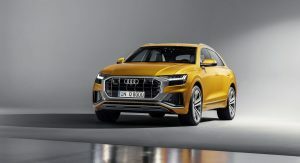 With the new Toureag and the Q8, the Q7 looks like one of Cinderella’s homely step sister. I say in particular Anastasia. The design and especially the taillights are awesome!!! Definitely a lot better than the X6 and GLE. They lose it a bit with a rather low rent looking grille unfortunately. Something more along the lines of the A6 would’ve looked much better. Ugly, particularly the fish face. I like it. But – and don’t take this the wrong way – it owes a lot to the Venza. Looks pretty good, especially the interior. The headlights and front graphic are the weakest part of the design. Looks a bit Hyundai up front and I especially dislike the black insert under the headlight. so this is their flagship? pathetic. What’s hiding in the blacked out panels below the headlights? You can tell there’s something there, it’s not just a random piece of cladding. Wow I gotta say it looks a bit underwhelming. The only compliment I can give it is that it’s the least ugly of the German 3, but it’s not saying much.